Sports Interactive just announced the Football Manager 2019 release date will be on Friday, November 2nd with a new look brand. 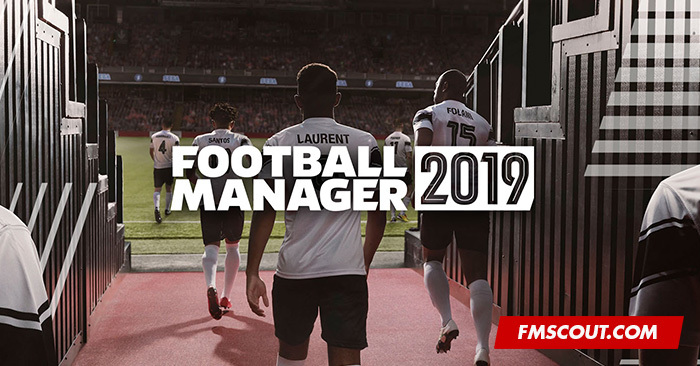 Football Manager 2019 says goodbye to the iconic ‘Manager Man’ who has featured on the cover of every Football Manager game since FM 2005, to be replaced by a manager’s eye view of the pitch as the gaffer and players head down the tunnel ahead of a big match. With redesigned logos, loads of new and improved features, and the implementation of the DFL Bundesliga license for the first time, FM 2019 will be even more comprehensive in its realism than ever before. 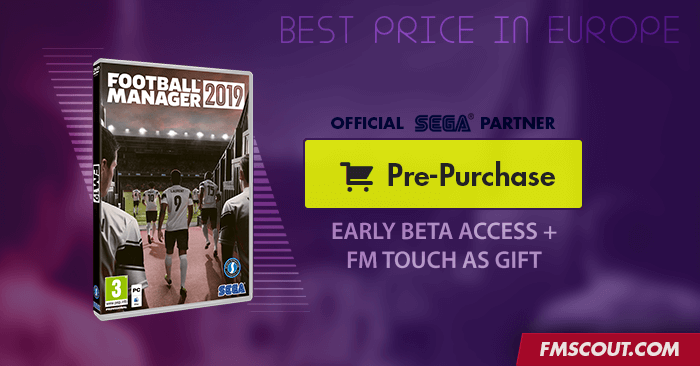 Start playing 2 weeks earlier with early beta access, and get FM Touch 2019 for PC/Mac (worth £21.99) as a gift! 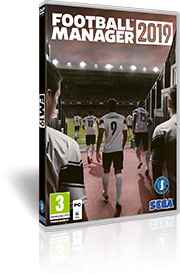 FM 2019 Minimum System Requirements have been partly made available on Steam. As usual there will be a fully-playable Beta version for pre-orders, which will be available roughly two weeks prior to the official street date (single player careers started in the Beta can be carried across to the full game). T﻿he first detai﻿ls o﻿f the ke﻿y feature﻿s in Football Man﻿age﻿r 2019 will be revealed in late September. Pre-purchase FM19 from fmscout.com to enjoy early access to the Beta version by mid-late October, a free copy of FM Touch 2019 for PC/Mac (also with early Beta access), a unique buyer badge on our site, and our gratitude for supporting our community financially. Stam, I went to order the game from this site and was looking at the Geo Restrictions. It does not look like purchasing the game through here will allow me as an American to play it. Do you know if this is an oversite or is it really only UK and Euro for whom the steam key would work? I really don't want to go through Steam directly if I can support your site (this is where I get all my downloads). @daveo72: It's already available for pre-order on Steam store, but there won't be any feature reveals before late September. Personally I'd wait until then. Also, for fmscout fans it makes sense to wait a few days until we can add FM19 on our store. You know, support a fansite instead of just Steam.